Our bed stock has just increased and we couldn’t be more delighted with the finished product. 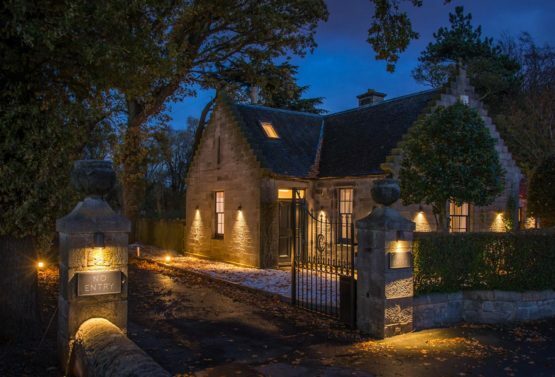 The Gate Lodge sits nestled within the Carlowrie Estate, with private access and all the comforts (and some) you would expect from a home from home. There are three luxurious double bedrooms on the ground floor and two perfectly cosy smaller doubles on the upper level, ideal size for children. Both of the private bathrooms are situated on the ground floor as well as a fully fitted modern kitchen with an ample sized dining table for family and friends to gather around. The lounge area is the ideal space to kick back and relax and enjoy the peaceful surroundings of the Carlowrie Estate. Bookings for the Gate Lodge can be made separately to the Castle, and our diary is now open and starting to fill, so whether it’s a weekend treat or midweek retreat for yourself, friends and loved ones let us know, contact us now for availability and prices. We look forward to welcoming you to the Carlowrie Gate Lodge!